People with diabetes or insulin resistance may do well initially with a low carbohydrate diet to help them normalise blood glucose levels. Managing your appetite is easier once you stabilise your blood glucose levels. However, once your glucose and insulin levels stabilise, you will likely benefit from reducing the energy density of your diet while also increasing the nutrient density of the foods you eat. Foods with a lower energy density are more filling and more difficult to overeat which is a useful hack if you want to use the fat on your body for fuel. The chart below is from a recent pilot study by Christopher Gardner of Stanford (Weight loss on low-fat vs. low-carbohydrate diets by insulin resistance status among overweight adults and adults with obesity: A randomised pilot trial). The researchers educated all participants to improve their diet quality with nutrient dense whole foods. However, they told half the participants to eat as low fat as they possibly could while the other half ate as little carbohydrates as they practically could. After six months, the people who were insulin resistant generally did better with a lower carbohydrate approach. However, the people who were insulin sensitive did slightly better on a low-fat, lower energy density approach. The chart below shows the nutrients in the lower energy density high nutrient density foods compared to the average of all the foods in the USDA food database. Eating more of these will ensure you get the nutrients you need with less energy while also avoiding nutrient cravings or deficiencies. 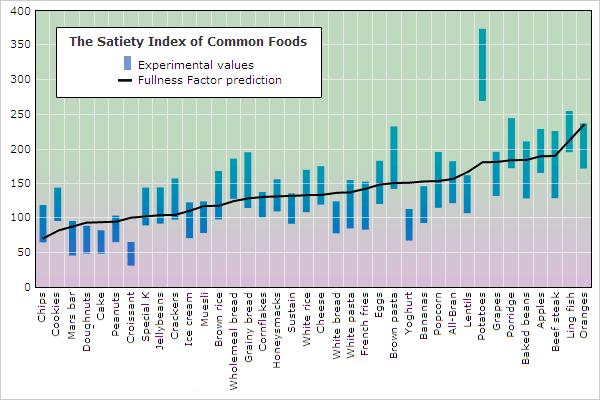 The foods are ranked using a multi-criteria analysis based on their nutrient density (i.e. they provide you with more of the nutrients that are generally harder to find) and their energy density. A shortlist of some of the foods that have a low nutrient density and a high nutrient density are listed below. 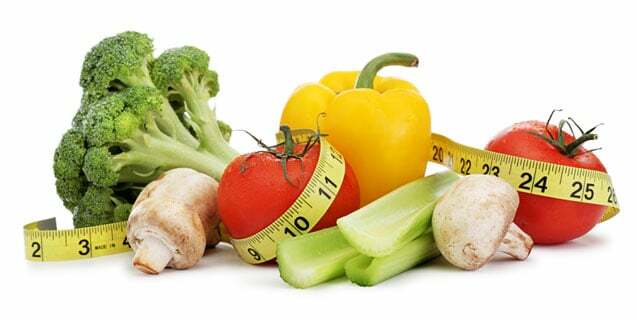 For a longer list of personalised foods and meals to suit your weight loss goals we invite you to get your free report from the Nutrient Optimiser. It’s been really exciting to see how many people have been able to reduce their energy while avoiding cravings. When we get the nutrients we need, our cravings decrease, and the body can use our stored body fat for fuel. Wow. Love your site. Fantastic info. I am a 41 yr old female, had T1 since age of 17 (24 yrs now). Have three children. Generally good control most my life however, things becoming a bit wonky-hormones? I am fit but over past 4 years increased weight by 10lbs which I can not shake. Very frustrating. Anyways, thanks for your hard work and I look forward to tweaking my food intake some more. Have a look at https://nutrientoptimiser.com/ if need a bit of extra help. Hard to believe sardines’ ND and MCA scores are so low. Is the rating on sardines for canned or fresh? If canned, is it for water packed or oil packed? My water packed sardines have 155 calories per 100g. Sardines are relatively cheap (protein) and convenient. Sardines are great! The ND score will be different depending on what nutrients you are chasing. Sorry but this does not make sense! Which one’s are the low nutrient ones and which are the high nutrient ones? Nice post, have you tried some healthy fats? Theory is, if you’ve got fat on your body to burn you may not need as much added fat in your diet.